Thomas Campbell is unique as he is a MYSTICAL NUCLEAR SCIENTIST!! Campbel is the author of My Big TOE (Theory Of Everything) . He is a physicist and expert an on consciousness. His work is no small read bearing in mind it literally covers EVERYTHING. It is however written in a way that allows the reader to process the information at different levels of understanding based on their willingness, and ability to absorb new information whilst putting on hold their current beliefs. WHAT IS THE PURPOSE OF OUR BEING? It is explained through the eyes of a qualified & very experienced nuclear physicist, who I can say, having met him, is probably one of the most genuine and sincerest beings you will ever come across. It comes as no surprise to me that those with open minds from the mainstream religions also enjoy his work despite it being written by a scientist. THIS IS HOW SPECIAL THOMAS CAMPBELL IS! So what is his theory I hear you say!! I attach lower down several paragraphs from the BIG TOE website where a more in depth summary can be found. I am very pleased to attach the full weekend seminar I attended in which Thomas Campbell explains the basics of his theories. I cannot recommend enough that you watch the 13 hours of material and then read his work. Don’t worry if you don’t understand parts of what is being said as it actually does not matter. Your understanding will depend on where you are in life . Absorbing new knowledge will simply help you raise your consciousness to new levels of understanding, step by step. Some changes in your thinking may come literally overnight. Others will take longer as information is absorbed into your day to day experiences, experiences tailor made for your evolution. Will these books change your life? Only to the degree to which you are willing and prepared to change. Over time, the degree of change could be very profound if you choose to expend the effort to make it so. Will you be sorry that you read them? Only to the extent and in the sense that it is an end of innocence. You will be made aware of laws of being of which ignorance is no excuse. Since you will be judged based on things that you are presently ignorant of & with that ignorance not acceptable as an excuse, it´s best to lose such innocence. And no problems with apples, snakes and “original sin” this time! ENJOY……YOU WILL NEVER LOOK BACK! 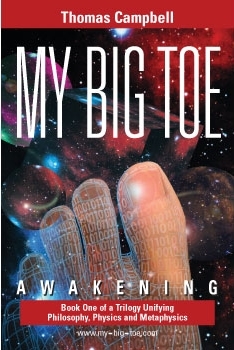 My Big TOE, written by a nuclear physicist in the language of contemporary Western culture, unifies science and philosophy, physics and metaphysics, mind and matter, purpose and meaning, the normal and the paranormal. 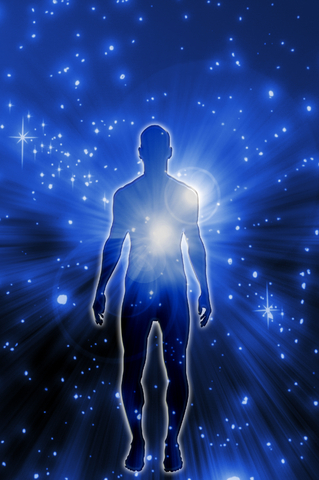 The entirety of human experience (mind, body, and spirit) including both our objective and subjective worlds, are brought together under one seamless scientific understanding. If you have a logical, open, and inquisitive mind – an attitude of scientific pragmatism that appreciates the elegance of fundamental truth and the thrill of breakthrough – you will enjoy this journey of personal and scientific discovery. Hour one. In this first hour Campbell starts explaining the theory behind his work. He gives a brief introduction about himself and his work with Robert Monroe. 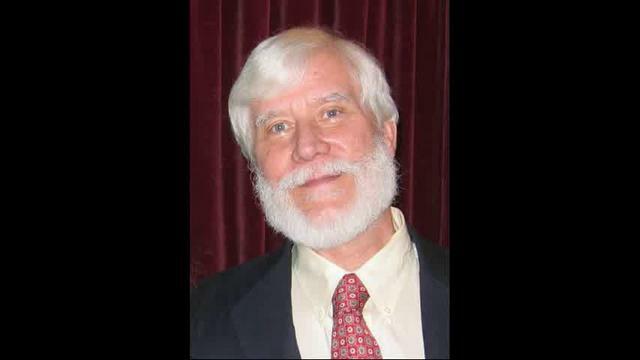 He discusses evolving ones consciousness from objective to the subjective ultimate reality, giving a very detailed explanation of the double slit experiment. Great post! Tom’s MBT has dramatically changed my life! I had been on a spiritual journey that started at a very young age. Raymond Moody’s ‘Life After Life’ made a believer out of me. I then read Shirley Maclaine’s books and a thousand more! I took a detour and become a born again christian for 7 yrs, then left the church and started back on the journey. I had a million different theories going on in my head. Just a handful rang true to me. When I read MBT I KNEW it was the truth! I listen to Tom’s video’s almost daily to help me deal with a spine injury and early Alzheimers. I’m don’t remember if I’ve seen these videos before? So, I’ll watch them and be amazed!! Thanks!